With an apt title expressing the feeling that London isn’t quite part of the UK, and marking the 5th anniversary of the 7/7 bombings of London’s transport, BBC Radio 4 is having a series of programmes about contemporary London. 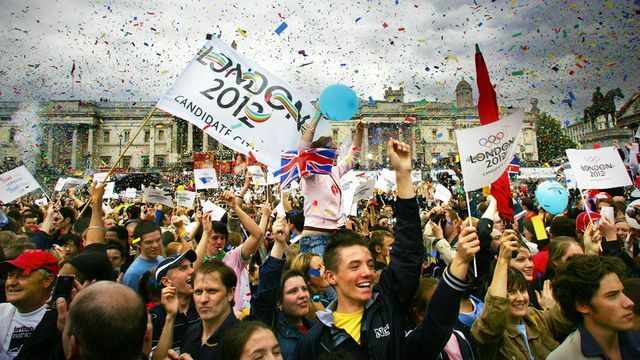 On 6th July 2005 London won the competition to host the 2012 Olympics. A day after the announcement of that successful Olympic bid four bombs went off that turned the celebrations into grief. In July 2010, on the 5th anniversary of 7/7, BBC Radio 4 will host a season of programmes focusing on contemporary London and charting its rise as “capital of the world”. London has undergone a remarkable transformation over the last 30 years. It has become one of the most diverse cities on earth, a magnet for the world’s finances, culture and people. London: Another Country? will explore what happens when 7.5 million people, speaking over 300 languages, try to live together in a city that has a population density ten times higher than anywhere else in the UK, but is the greenest city of its size in the world, with two thirds covered in green space or water. A city that comes fourth on the global list of number of billionaires and generates 20% of the UK’s GDP, yet has a higher proportion of people living below the poverty line than anywhere else in the country. However, this is not a season simply about London for Londoners, but one that explores London’s relationship with the rest of the UK. Has London become “another country” – not only foreign to the city it once was, but also to the rest of the UK? Is the M25 effectively a border crossing separating two different countries? And who have the winners and losers been in the London revolution? The season will run over two weeks starting on July 3rd 2010. The summer of July 2005 was one that brought Londoners both joy and pain. Euphoria over winning the Olympics bid, celebrations of Live8, trauma over the 7/7 bombings and shock when an innocent man was fatally shot by police on the tube. Using archive and new interviews Kirsten Lass explores what effects these major events had on the city and its people.